In modern-day Russia a young high school student begins to challenge the beliefs of adults around him, after he gets convinced that there is nothing more in the world than evil. 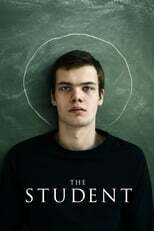 The Student ((M)uchenik) is directed by Kirill Serebrennikov and was released on Apr 21st, 2017. Director Kirill Serebrennikov's Drama movie The Student ((M)uchenik) is produced by Hype Film & was released 2016-04-12.